A new study from the German Center for Neurodegenerative Diseases, published in the journal BRAIN, sheds new light on the processes leading to aggregation of the protein αlpha-synuclein in the brain of patients with Parkinson’s disease (PD). It has been proposed that the aggregates propagate in a fashion similar to prions, but the new study refutes the prion theory. The protein α-synuclein often starts aggregating inside neurons of the lowest part of the brainstem and spreads upward from there. To study how this protein moves in the brain, the research team transferred a human α-synuclein gene into the brainstem neurons of mice with the help of a viral vector. The team noticed that following the introduction of the human α-synuclein, the cells began expressing high levels of the protein, which accumulated inside the cells. Over the following 12 weeks, the team tracked the spread of the human α-synuclein, noticing it moved in a similar way to that observed in Parkinson’s patients; upward and toward the front of the brain. 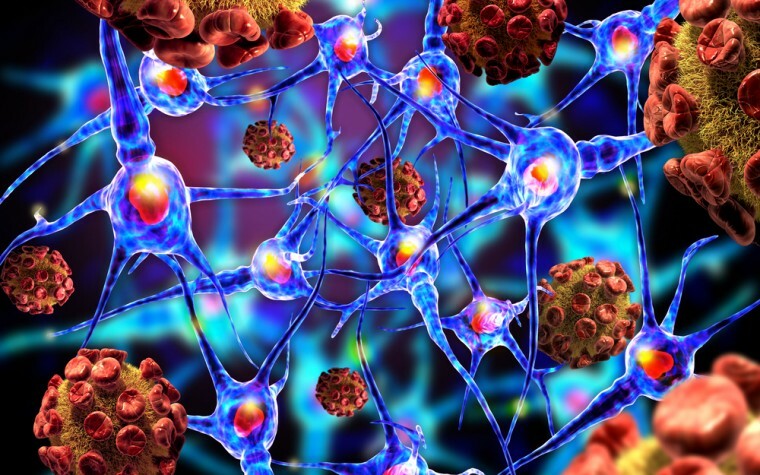 The protein spread through anatomical pathways, and the researchers observed it jumping between two neurons via a synapse – the chemical connection between neurons. They also saw that once the protein entered a neuron, the cell became damaged. 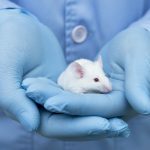 To test the prion theory, researchers compared the spread of α-synuclein in animals that expressed the mouse form of the protein and those expressing only the introduced human form. Prions are spread by inducing a change in the three-dimensional structure of nearby proteins. If α-synuclein spread like prions, the spread would be slower, and the functional effects of the protein aggregates would not be as severe in the mice lacking mouse α-synuclein, since the introduced α-synuclein would not have other α-synuclein proteins to corrupt. Instead, the team observed the opposite – a more rapid spread in mice lacking their own α-synuclein. Tagged alpha-synuclein, neurons, prions, protein aggregates.